Looking for a change from the routine scheduled life, planning to visit some tourist destination in India which will totally refresh your mood, then Kerala is the right stop for you. Forget your stresses and get immersed in a pool of nature’s bounty, at a place blessed with many things which will make you fresh and cheerful. Your Kerala trip will rejuvenate both your body and soul. The main assets of Kerala as a tourist destination are its superb location, cheerful climate and generously offered natural beauty. It is located near Arabian Sea with long shoreline, serene beaches, network of forty four rivers and mesmerizing backwaters. Other attractions are exotic hill stations, variety of wildlife, straddling plantations and the historic as well as cultural monuments. Apart from this there is lot more to savor like fairs, festivals, delectable Kerala cuisine and above all the most talked about Kerala Ayurvedic massages and treatments. Travel agents in Kerala offer maximum sight seeing opportunities at a reasonable cost. They can also offer best support regarding local travel. If you are nature lover, wildlife enthusiast, adventure lover or want to enjoy the magic of the beaches then Kerala has many things to offer. There are many Kerala tour packages some of them concentrating more on the backwaters, others offering you romantic hill stations of Kerala. Some of the packages offering the tours of the mystique beaches, yet others offer wildlife tours. So you are at liberty to select online, one from the available tour packages for Kerala. 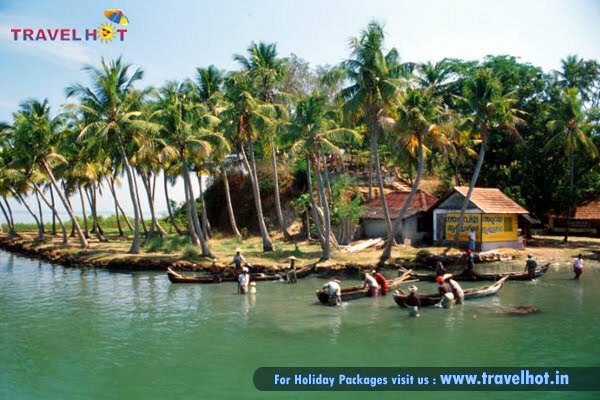 Otherwise visit the websites of the tour operators like Travelhot which are offering seasonal discounts and attractive package offers of Kerala tours. Plan your Kerala trip to enjoy the beauty of the place and avail the tour package from one of the reputed Kerala tour operators.